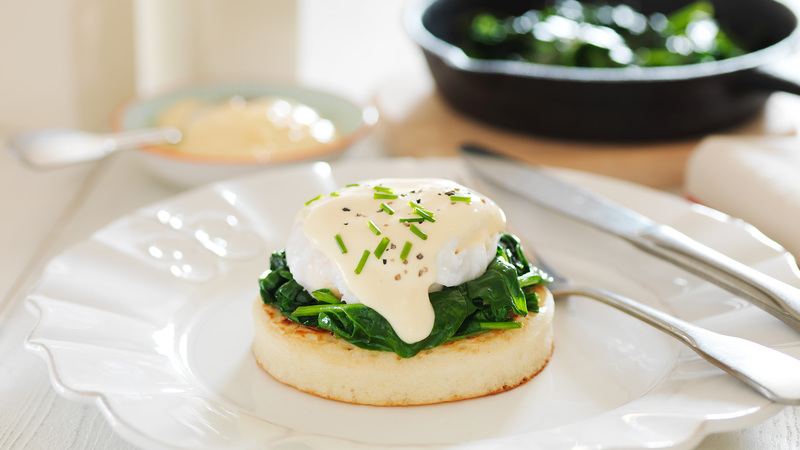 Poached egg, spinach and a hollandaise sauce on a toasted gluten-free crumpet are a perfect combination in this classic brunch recipe. Start by preparing the hollandaise sauce. 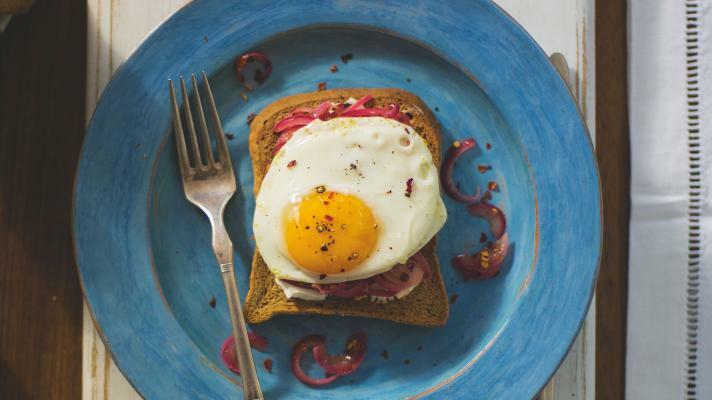 Beat the egg yolks with the salt in a heatproof bowl, place the bowl over (but not in!) the pan of water (you need heat, but not too much) and beat the egg yolks until they thicken slightly. Add to this the vinegar, and continue beating as the yolks thicken a little. Add in the melted butter a little at a time and whisk the mixture continuously, the mix should continue to thicken until it coats the back of a spoon. When the butter is all added and the sauce is light and thick remove the bowl from the heat and continue to whisk for another minute. Check the seasoning and add a little lemon juice. Keep the sauce warm until you need it (stand the bowl in warm water). The sauce will curdle if overheated, and go too hard if allowed to go cold so be careful. Next, prepare your spinach. Melt the butter in a medium pan until it froths, tip in the spinach and keep stirring it and moving it around the pan on a low heat until it has all wilted. Season this with salt and pepper and set aside. Now for your poached eggs. You need a pan of water at a rolling boil. Add a teaspoon of vinegar to the water to help the egg white to set. Crack one of your eggs into a teacup and gently tip the egg into the middle of the pan of water. If the eggs are fresh the egg white should come together around the yolk very quickly. 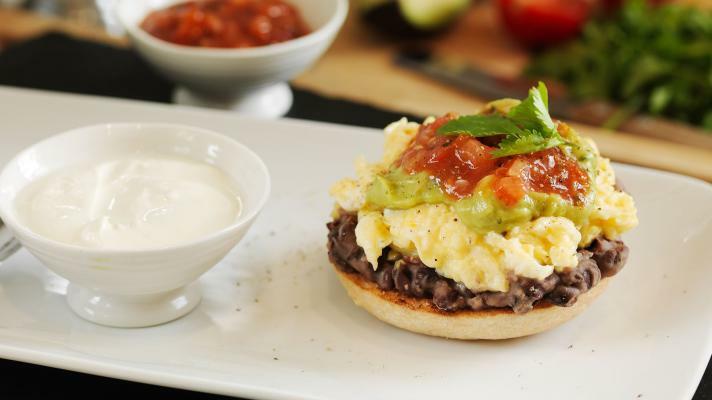 You can gently encourage the white to move towards the yolk with a slotted metal spoon. Leave the egg to poach for 3-4 minutes, then scoop it out and keep it warm. Repeat the process with egg number 2. To assemble the Eggs Florentine toast the crumpets, load them up with spinach, pop the egg on top and spoon on the hollandaise. Finish with a grind of black pepper and some snipped chives. 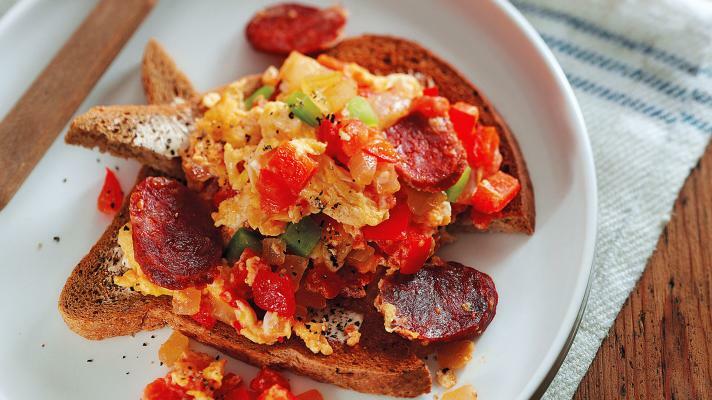 Kick start your day with this delicious and remarkably healthy recipe. With very little preparation & cooking they also makes a quick and tasty midweek supper.